1.1 million residents living within the LA county area will be effected from now on by the recent feat for the environmental movement in California by passing the LA County Bag Ban JUST a fews days ago! Hooray!! The Los Angeles Board of Supervisors voted on Tuesday, November 16th in a 3-1 vote to begin the process of eliminating these bags, setting an example for the rest of the state and nation. The ruling will be placed into effect in July 2011. So that leaves shoppers plenty of time to get their reusable bags ready for many trips to the grocery stores. If, however shoppers still want to use a plastic bag, grocers can only offer them for 10 cents a piece. This price is set in order to persuade the disuse of single-use plastics and begin to carry their own, reusable bags. These bags are avaiable from .99 cents- $1.99 at most grocery stores. Next time you go grocery shopping, and you pack your goodies in plastic bags, pay attention to how many bags the bagger gives you. If you think about it, a .99 cent reusable bag can be paid off in just one or two visits to the grocery store. In the long run, it is a very small, short-term investment, but smart, long-term payoffs. 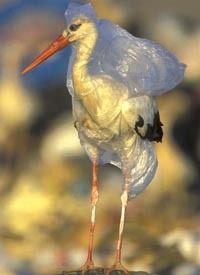 Plastic bags take hundreds of years to decompose! Let’s try to not let this…. 2007 saw San Francisco’s bag ban, the first city to do such a thing in California. Since then many cities in California have joined in force against the ACC (American Chemistry Council) to fight the war against chemicals and plastics – banning the use of plastic bags. According to NPR, San Francisco’s ban reduces the amount of plastic bags used in just San Francisco alone by 5 million bags. With LA county jumping on board, we now have two of the biggest cities in California participating in creating change for our environment. 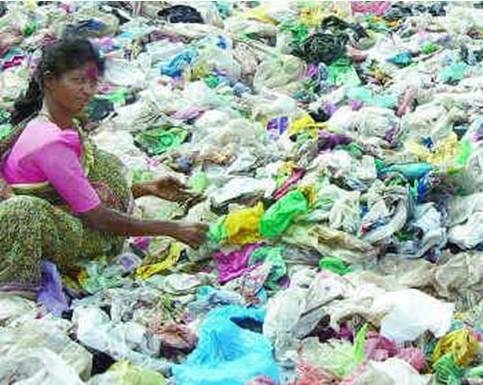 Malibu, San Francisco, Palo Alto and Fairfax have also banned bans on single-use plastic bags. Other California communities such as Santa Monica, Marin, San Jose and Santa Clara also are considering bans this year. We can surely expect to see great reductions of waste being generated and many more cities joining the cause.